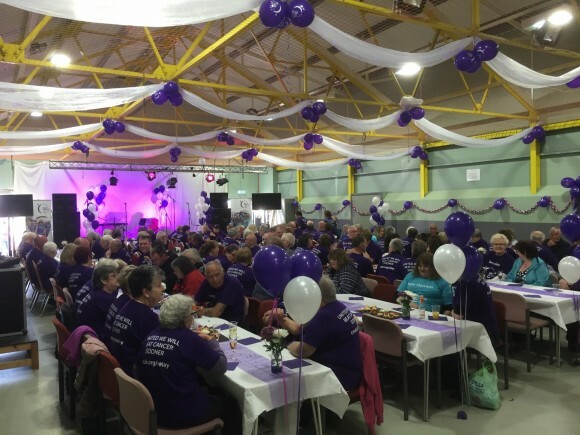 I first experienced the wonderful spectacle that is Relay for Life when I was asked to speak at the survivors’ lunch when I was in Sydney in 2014. It turned out to be one of my most favourite days. When you consider that when in Australia I ticked things off my list such as learning to surf, watching the sunset over Uluru and singing at the Sydney Opera House, it says quite a lot about just how special this particular event was. 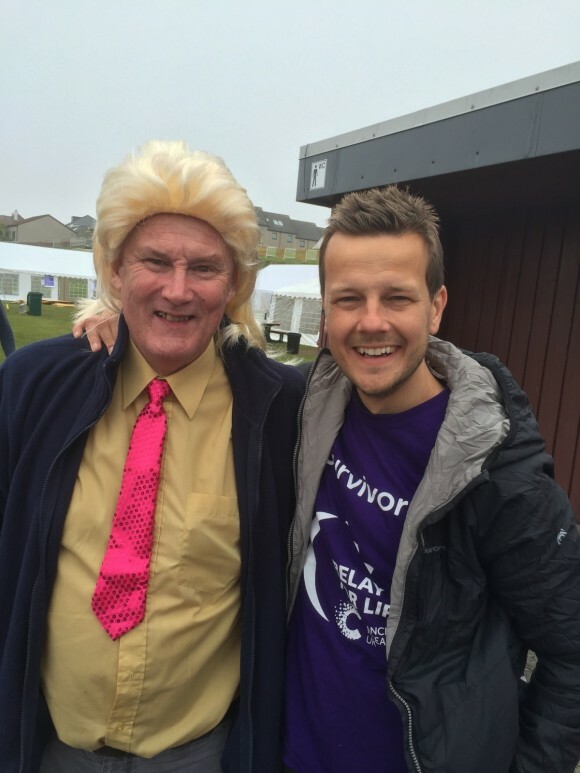 Relay for Life Shetland was no exception. 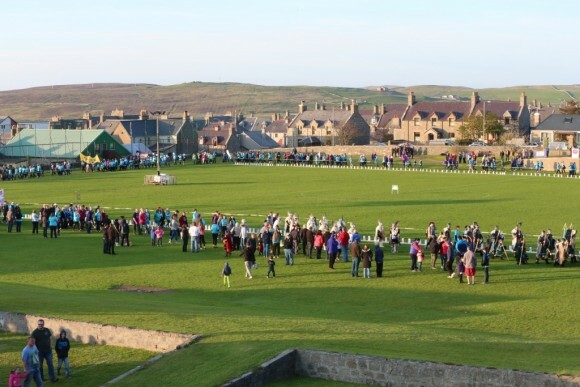 This weekend over 1300 people took to the track in Lerwick and helped raise over £127,000 for Cancer Research UK.. 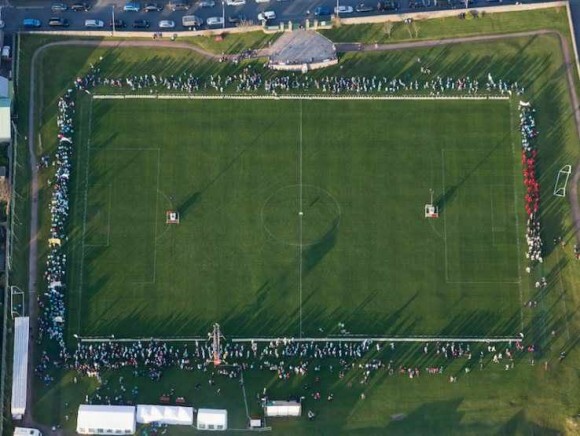 This is exceptional for any event but to be raised by a small group of islands with a population of just 23,000 people makes it even more incredible. 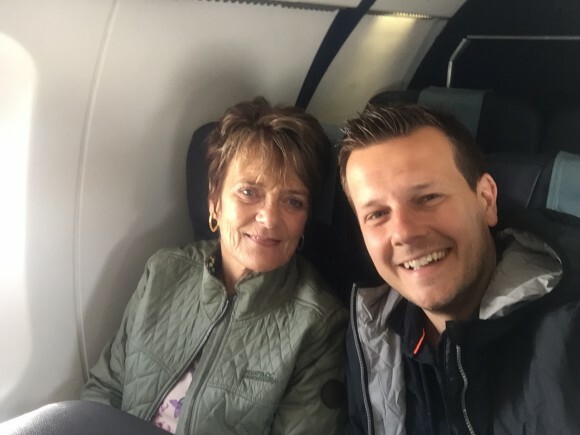 My Shetland experience started on the plane from Edinburgh where I got chatting to a lovely woman called Margaret. Margaret is a Shetlander born and bred and we chatted the entire way to these magical islands. In true traveller style we shared our life stories before actually finding out each others names. 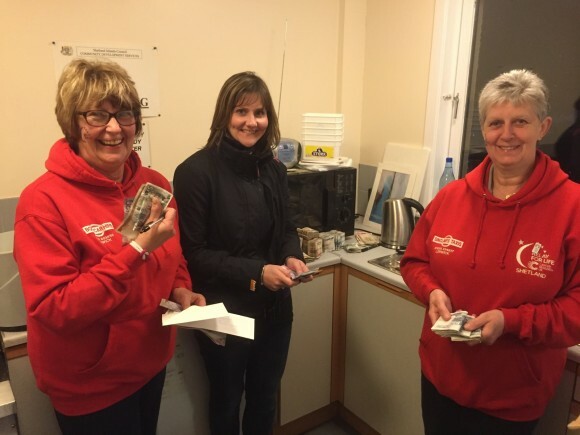 This chance meeting which Margaret believed was fate set the tone for the entire weekend and every single person I met was so warm and welcoming. 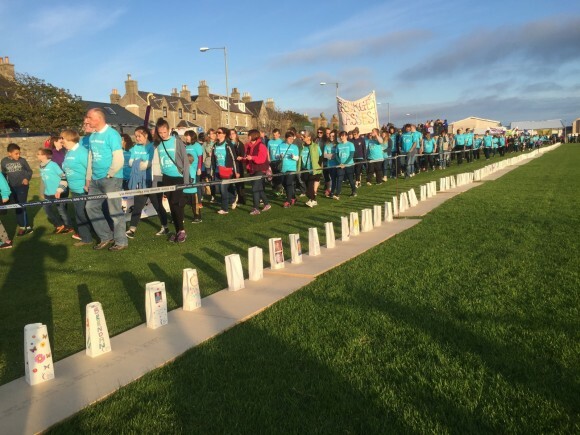 The Shetland Relay for Life is the biggest in Europe and only happens once every two years. 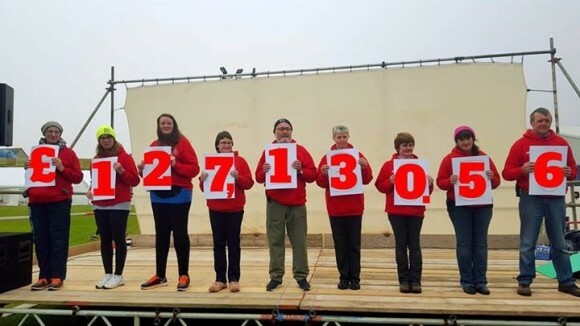 Since it began in 2006, it has now raised over one million pounds for Cancer Research UK. 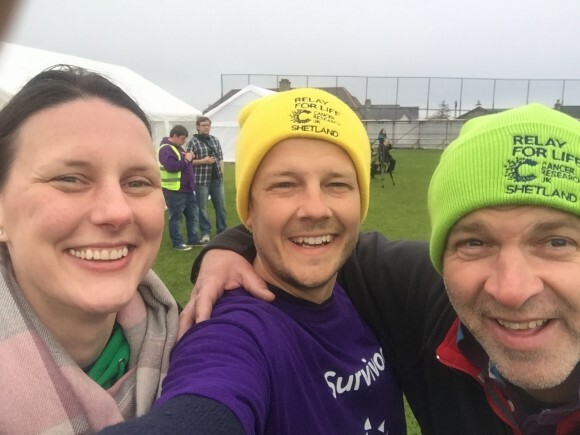 The committee chair for Shetland Relay for Life (probably the loveliest guy you could ever hope to meet and with the best beard ever) told me that it is the strong sense of community that makes it so special. 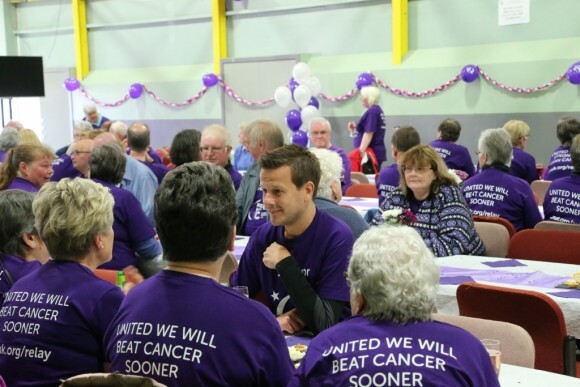 Everyone knows one another and therefore knows someone who has been touched by cancer. So they are determined to do all they can to support their friends and help beat this awful disease. 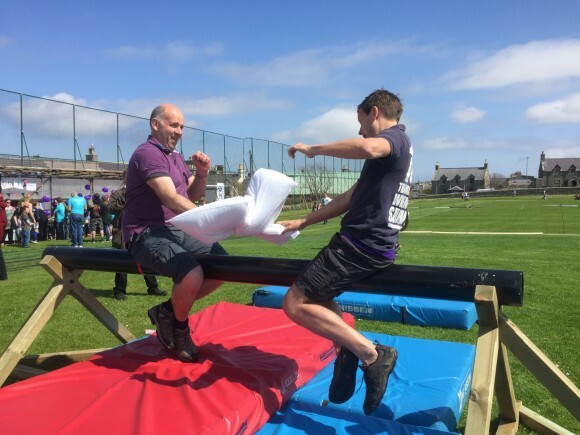 Relay day started with a day gala where games and stalls lined the track and families from local towns and villages took full advantage of the blazing sunshine and blue skies. I even had shorts and my 101 shirt on so it must have been warm! 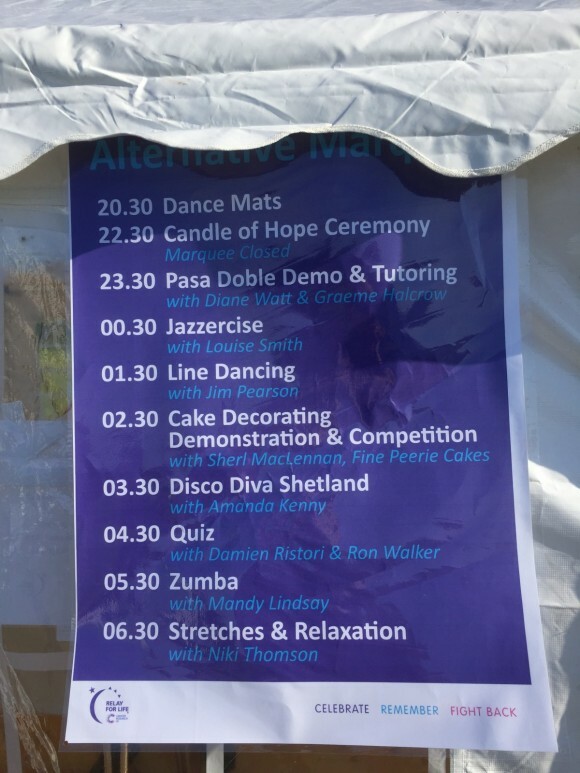 I think working in the BBQ tent kept me in my shorts on a wee bit longer. 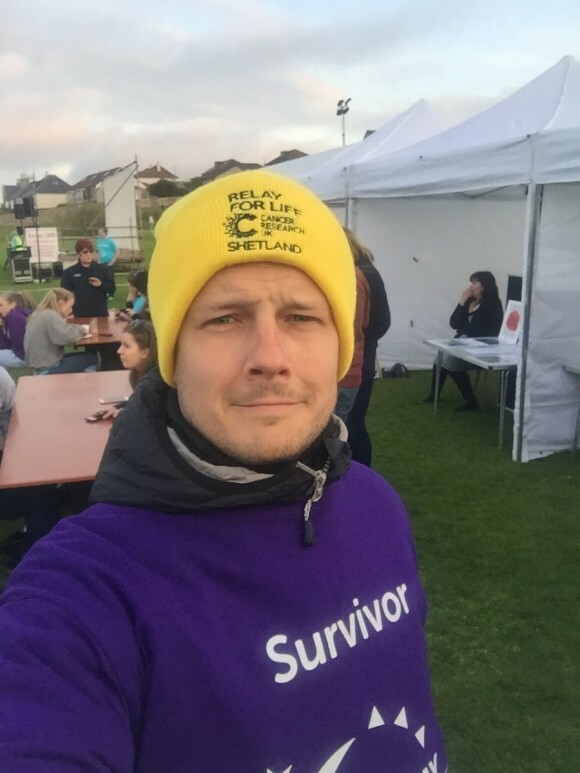 At 7pm the relayers arrived and I quickly transformed from summer gear into my winter gear and survivors shirt before giving a speech to over 100 Shetland cancer survivors. I also had the pleasure of meeting Wilma who was celebrating 50 years of being all clear. 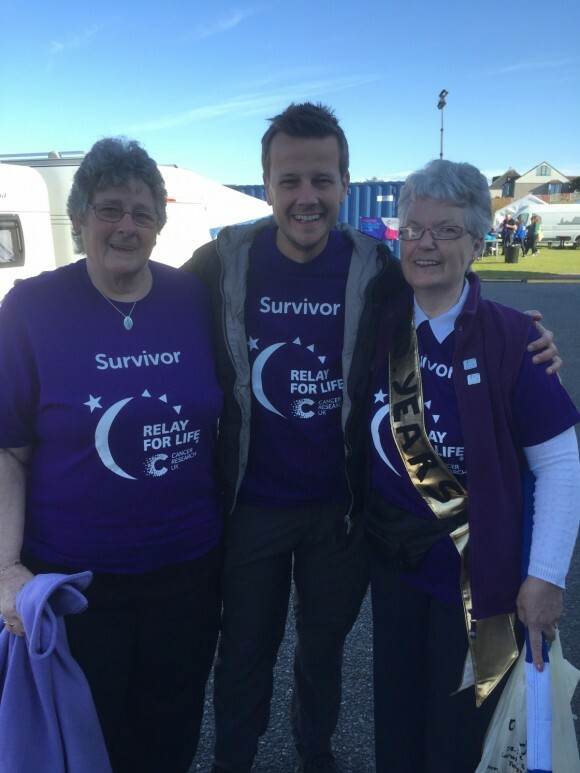 Wilma told me that when she was diagnosed with breast cancer 50 years ago there was no chemotherapy so she had to have a radical mastectomy and radiotherapy. Such a lovely and amazing woman who said she was so grateful to still be here. Seeing over 1300 people then take to the track has to be one of the most incredible sights I’ve ever seen. 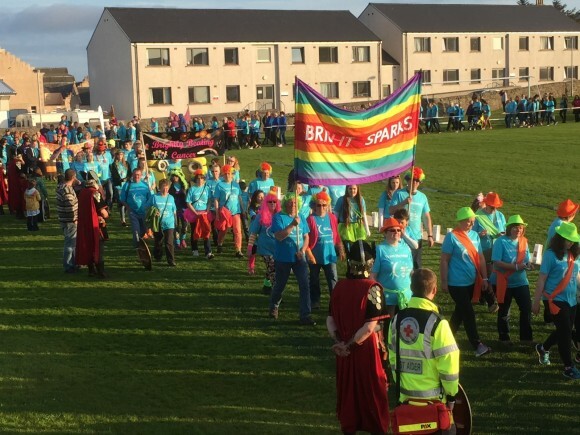 People dressed in viking costumes and fancy dress all there to walk through the night in their relay teams and show cancer that hope is well and truly etched in the Shetland psyche. 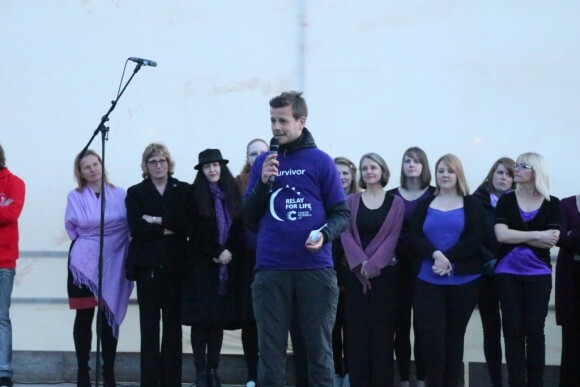 In-between the amazing performance from the choir I then had the honour of giving a speech to the 1300 wonderful relayers at the beautiful and poignant Candle of Hope Ceremony. 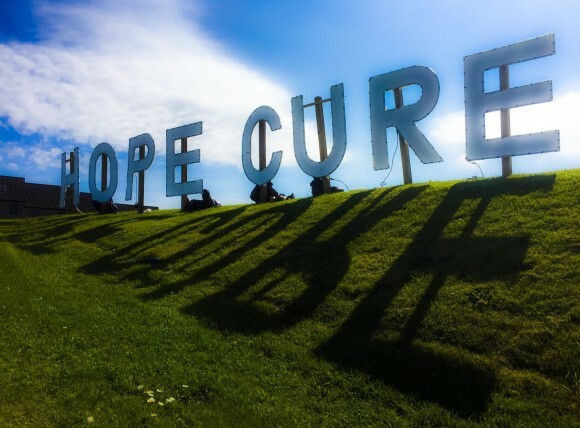 I spoke about my experience with cancer and the power of hope. 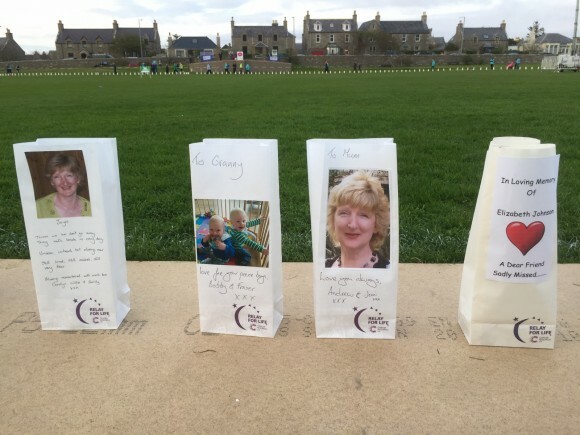 This ceremony is a way of celebrating those who have survived this awful disease and to remember those we have lost. I hope I did it justice. 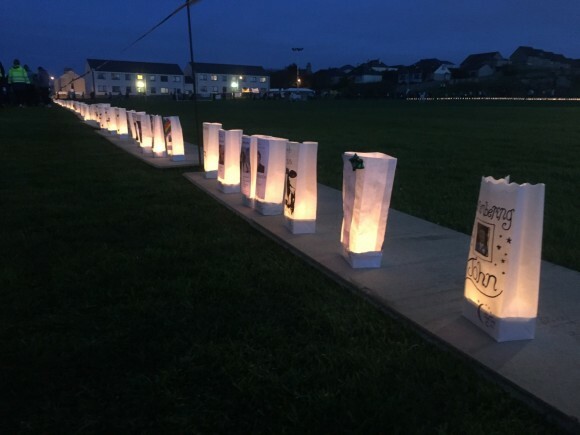 Relayers then walked around the track which is lined with beautifully decorated candle bags which are dedicated to those we have lost and to those still fighting. It is an incredible and emotional sight to see and once again a reminder of just how fortunate I am to still be here. 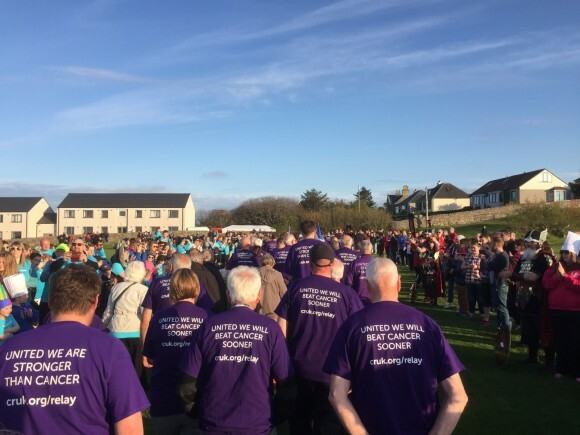 Relayers walked through the night taking it turns to hit the track before the closing ceremony at 07:30am where the committee unveiled the mind blowing fundraising total. 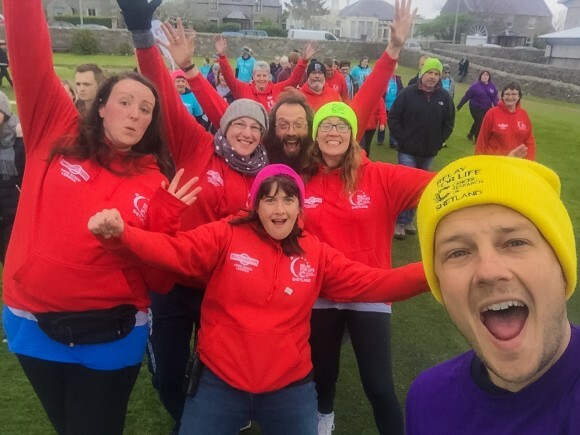 Meeting Martin and his wonderful fellow committee members who all devote their own time to making this event happen was pure joy for me. My trip around the world was so special because of the people I met along the way rather than things I ticked off my list. 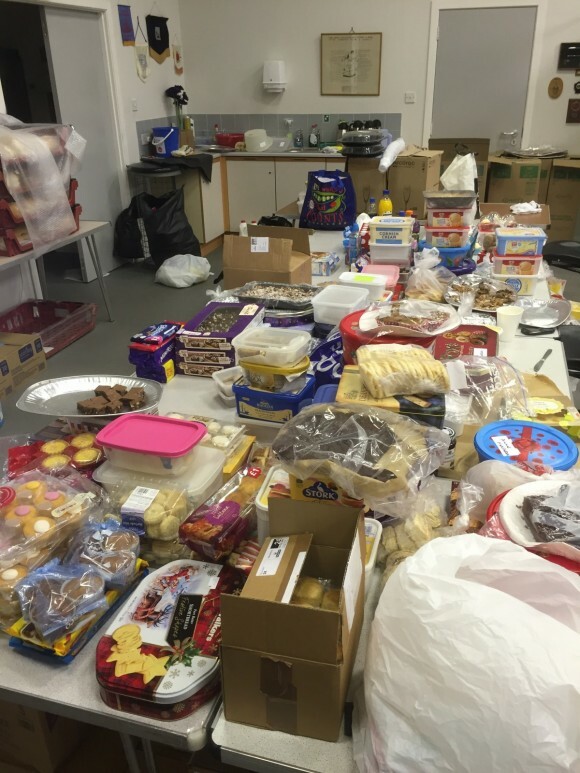 In Shetland I was once again blown away by just how kind and generous people are. 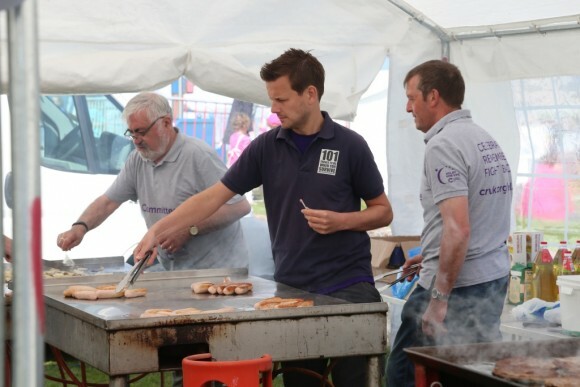 Everything you see in these photos from food to tents and chairs were all donated by local companies meaning that all money raised went to Cancer Research UK in the fight against cancer. 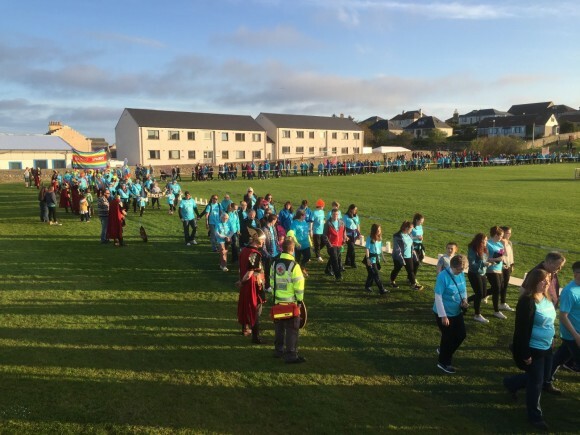 Huge congratulations to Martin and the Shetland Committee for their truly remarkable achievement and thank you for asking me to be part of something so special. 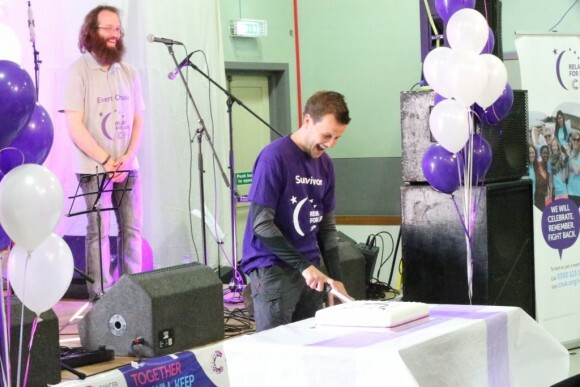 Special thanks to Simon, Louise and Michelle from Cancer Research UK who helped make this all possible. 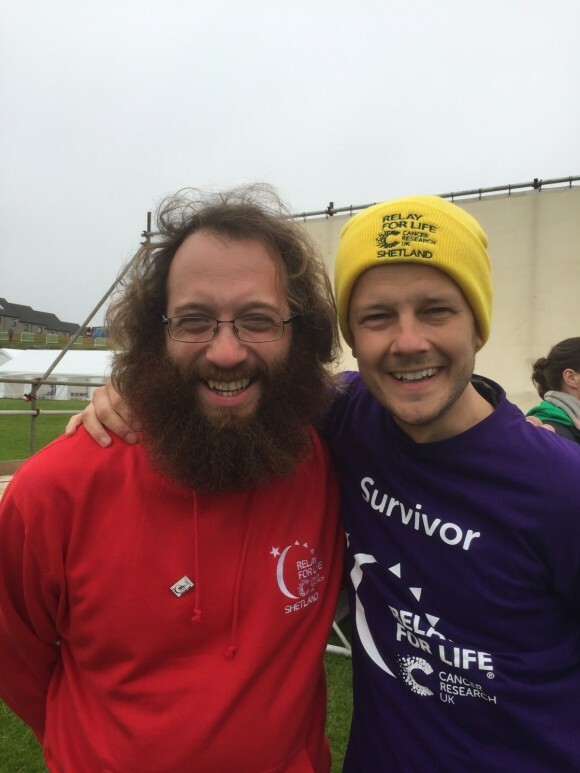 I’ve met a fair few people from CRUK now and I can safely say that they have the most incredible people working for them. 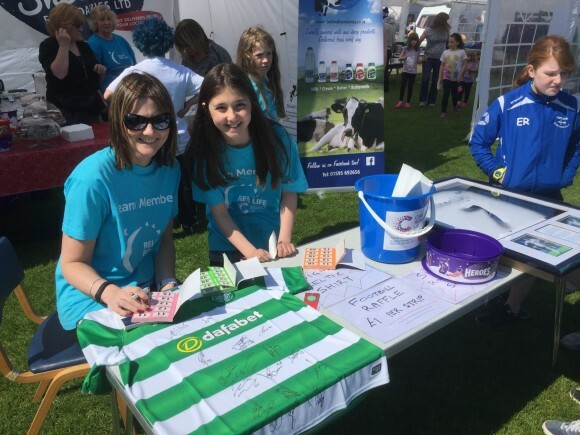 I am still looking for more team members for Team 101 for the Ascot Relay for Life on July 16th so please get in touch if you fancy having the most wonderful hope filled weekend.